Notes: I've been reading quite a bit of historical non-fiction of late, and I'm still in that kind of mood. However, I've also been in a mood for some sword-slinging fiction. What to do? Oh, what to do? Easy. 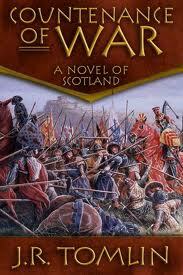 Turn to some historical fiction, specifically this novel of Scotland. Mini review: Plenty of war and sword swinging in this one. For fans of the movie "Braveheart," this is what happens after, sort of a "Braveheart: Next Generation," with the focus upon one James Douglas. Plenty of real historical characters from the period make an appearance, and there are more than a few scenes of raids, open warfare, and a fair bit of skulking about. I have some nitpicks with this novel, but nothing too strong. I look forward to reading more about Douglas in some of the author's other books. What is my best novel? The question that tops this post is one I face from time to time, though never from writers. Writers understand, it would be nearly impossible to pick out one of our own "best" novels, though some might have a favorite or two. Sometimes the question is a bit different, asking what is my best writing, or what is my best story, but it amounts to about the same idea. For me, there is no simple way to answer the question. Well, that's hard to say. I think Ghosts of the Asylum is the best plotted of my fantasy novels, but as far as literary value goes, I tend to feel my best novel is probably my more mainstream novel, More Than Kin, which is also my most personal novel, though not autobiographical by any means. 100 Years of Blood is likely my most difficult novel for readers to take, to understand, and it is also the most literary novel I've penned, as well as one of the most boring from a plotting point of view. One of thing's I find somewhat amusing about 100 Years of Blood is that it is, as I've called it, a novel of questions, not of answers, which was intentional on my part because I wanted to write something that made the reader think for themselves instead of just another fast-paced, action-oriented novel that reads like a movie script and spoon feeds everything to the reader. There are enough such novels on the market, in my opinion, and though I'll admit some of them are quite good and entertaining, it is possible to do more in the literary field. As expected, 100 Years of Blood is my least selling novel. I also find some small amusement in that readers who have approached me about this novel always tell me they have figured out what the "secret" is, that that secret is pretty easy to discover. Really? If I made the "secret" all that obvious, it likely isn't the real "secret," wouldn't one think? But it's a novel of questions, and I'm one who prefers to let a piece of literary work (or "art," if I can be so bold as to use the word for my own work) speak for itself and to allow the readers to take away their own conclusions. For a long while, I felt my short story "Beneath a Persian Sun" was the finest thing I had written, but over the last year or so I've come to find many faults with the tale. I still think it's a good story, but it could stand to be rewritten. Though I'll never do that. From time to time I make minor corrections in all of my works, but I never go back and do a major rewriting once something has been published. Of late, I've been feeling pretty good about a short story of mine that has yet to be published, titled "Daedalus Reborn." It should be available sometime next year in an anthology, but I won't say anything further about it other than the editor was quite pleased with my little tale. It's funny for a writer to look back on works he or she penned years in the past. I cringe when I look into my earliest novels, yet those are the ones that sell the best for me. On the other hand, for a while I was somewhat disappointed with my fantasy novel Demon Chains, mainly because I remember feeling burned out from reading and writing so much epic fantasy at the time (I went straight from writing Ghosts of the Asylum into writing Demon Chains, something I normally do not do for fear of becoming burned out on a genre). But as I've looked back, I find Demon Chains isn't so bad of a novel, though I don't think it's my best. Sales for Demon Chains are decent, and usually better than Ghosts of the Asylum. I've heard other writers say they cannot judge their own works fairly, and I've come to the conclusion there's some truth to this. Though I tend to think of Ghosts of the Asylum as my strongest fantasy novel, it is also the least selling of all my fantasy novels. So, I can't judge. Which of my novels is my best? I can't judge. I don't always love all my children, but I don't hate any of them through and through. Notes: 'Tis the season, right? Actually, I just finished this author's book on Tolstoy, and it came to my attention that the writer had actually written numerous biographies of historical figures, one of them being this one about Jesus. The approach, apparently, is to look at Jesus as a historical figure and not so much as a religious figure, which I find interesting. However, I'm a bit skeptical of how this author will approach the subject matter of Jesus. 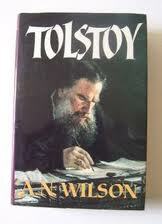 Wilson did a strong job of demystifying Tolstoy, so I'm wondering if he will try to do the same with Jesus. Then there is the fact that Wilson, now turned back to Christianity (I won't call him "born again" because that has social, even possibly political implications I'm not sure are appropriate), was an avowed atheist during the writing of this book about Jesus. Frankly, if he spends much of this book trying to debunk Jesus, Christianity, and religion in general, I'm likely to lose interest. It's not that I can't tolerate atheism or skeptical thought and writing, even appreciate them at times, but I find some of today's ardent, vocal atheists (with whom Wilson associates) as annoying as I do the overly rambunctious evangelicals. I simply want to study the subjects for intellectual purposes, not be talked down to by one side or the other. So, I'll see how Wilson handles this book and the historical figure of Jesus. Mini review: I have to say, I was pleasantly surprised at the route the author took in his exploration of a historical Jesus. I felt he did jump to a few conclusions without evidence, but at least some of the time he would say something along the lines of, "here I am making a guess." He seemed to come down on the side of Jesus being a non-divine entity, a healer and religious figure of much ability and wisdom whose words have been distorted and changed many, many times throughout history. The author gives some evidence for this, but most of it is, in my opinion, not overly strong evidence. I'm not disagreeing with Wilson's conclusions, but I also am not agreeing with them. I think he would understand that, for in the end he portrays Jesus as such a mysterious and complicated figure that even the early church fathers had little idea with whom they had actually been dealing, that Jesus is practically unknowable, at least from a historical point of view. As far as how the Christian churches have dealt with Jesus over the centuries, I find much in agreement with the author, thus I quote Wilson here: "Few of the Christian Churches have ever viewed the teaching of Jesus with anything but contempt. And while Churches might think that they are returning to the teaching of Jesus it will invariably be found that they are pursuing a distorted version of one or two of his ideas while contradicting the others." I agree with those words. I could write a book on such myself, and perhaps some day I will, but for now I will not bore or frustrate the reader with my own thoughts and ideas, which change often enough, anyway. Wilson leans toward a Jesus who wanted others to think for themselves in order to become closer to God, and I tend that way in my own thoughts. Notes: I've never read anything by this late, popular science fiction author, but I've been hankering for something short and fun to read. Mini review: Well, this did the job. A nice little fast read. I don't know the original publication date for this story, but it reads like a late 1950s or early 1960s tale, something that could have appeared on television on The Outer Limits or some such show. 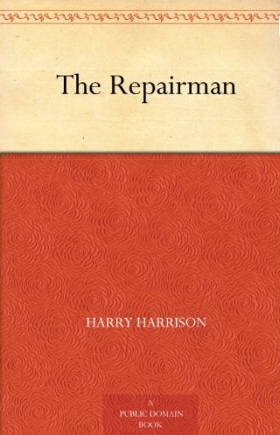 The repairman character is kind of a jack-of-all-trades fix-it man who has the job of traveling from planet to planet in order to rebuild or repair beacons that help spaceships navigate throughout the universe. In this story, the repairman finds himself dealing with a somewhat intelligent but barbaric lizard race who has turned a beacon into a holy shrine and temple. How to fix the beacon without making the lizard folks angry? That's the gist of the problem, and it was a pretty fun read. If you're ever in the mood for something breezy, or for some old-fashioned science fiction, or both, I can suggest this tale. In the last year, I have done two blog tours, interviewed more than 50 writers for this blog, gathered more than 2,000 followers on Twitter, and made more than a thousand friends on Facebook. I have also made use of social networking sites such as StumbleUpon, Digg, Reddit, and a handful of other sites. I've made use of Amazon's KDP Select program and various other online marketing tools. I've post at a dozen or more various online boards, a few of them on a regular basis. I've blogged and blogged and blogged, with the posts drawing the most attention (by far) being the ones I wrote about weapons (mostly guns and swords). During that time, my sales dropped, dropped, continued to drop, bottomed out, tanked out ... whatever you want to call it. Across the board, at all sites where my books and e-books are available. For a while there, I was fearing I would have to enter the workforce once more, which is not appealing for a variety of factors, a big one being the state of the economy. Then, a few months back, I decided to hang it all up and to stop my efforts at social marketing and most of my social networking. Since then, my sales have jumped. Oh, my numbers still aren't as good as they were a year ago, but this month is better than last month which was twice as good as the month before. Across all venues. So, all that online marketing, it didn't work for me. Obviously. Social networking and marketing works for some authors, apparently, but for me? Nah. So, I've given all that up. Oh, I'll still post on Facebook from time to time, and I might even put up a tweet every once in a while. Maybe I'll even leave a note on an online board from time to time. The difference will be, I'm only going to do so when I truly feel I have something to say or add, and only when I really want to. This has taken a lot off my mind, and I write more. Another benefit I've found is that by staying away from most of the boards containing writers, I see and hear a lot less bitching, whining, and conspiracy theories. Which is like balm to my soul. It seems all writers do is whine, especially indie writers. It's a rare thing that I see long-time professionals constantly griping, though it does happen from time to time. But I see this mostly in indie writers (of which I'm one, and yes, I suppose one could argue that I'm whining here ... deal with it). Any way, if one's sales are not what one wants them to be, I suggest experimentation. Which is what I did. Social marketing works for some. Giving away freebies works for others. Simply writing the next damn story or novel and getting it out works for others (and seems to be working best for me, along with a combination of freebies). Concerning e-book freebies, I'd like to add that I don't care for them and feel the market is glutted with them, but yes, I have to use them. It seems to be part of my marketing efforts, whether I want them to be or not. I have bills to pay, today, not next year, and the long-term approach didn't seem to work all that well for me, though it is the approach I would prefer to have. Such is life. Notes: A lot of my reading of late has seemed kind of heavy, often even dark, so I was thinking I needed a few laughs to lighten things up some. I had heard this fantasy e-book about a dark god of the goblins is pretty funny, so I thought I'd give it and the author a try. Mini review: Not laugh-out-loud funny, but definitely has an amusing ring to it throughout the tale. Also gives quite a different look at a creation mythology and the supposed villain or dark god of a pantheon and how such relates to traditional fantasy creatures like elves, dwarfs, goblins, etc. The writing here was pretty solid, in my opinion, and fit the subject matter to a T.
Notes: For some few years now I've been enthralled by Tolstoy's journey as a writer and his changing views of morality and spirituality during his life. I'm not saying I agree with his viewpoint on everything, nor that I strive to, but I find his thoughts and writing interesting, his non-fiction more so than his fiction. So, for some while I've been looking for a good, popular biography of this famous author, a biography that doesn't get too bogged down by the scholarly approach. From my research, this book appears to fit the bill. Mini review: I have plenty of quibbles with this book, but I must say, it has opened my eyes to much about Tolstoy and his life. For one thing, the author demystifies the sense of awe that surrounded Tolstoy during his later life and to some extent after his death. I believe there's little doubt Tolstoy was a literary genius, but I think there was also at least a little dementia there, perhaps growing worse with senility as he aged. Tolstoy put enormous emotional, spiritual and somewhat financial pressures on those family members closest to him, but they in turn (especially his wife) apparently made his last few decades no bed of roses. It did not help things that Tolstoy seemed to have an occasional tendency to stir up trouble simply for the sake of being noticed, of drawing attention to himself. All that being said, one of the problems I had with this book was that I felt it focused too much on Tolstoy's later years, especially the last few decades when his life was in turmoil to some extent or another. To be fair, that section of Tolstoy's life is much, much more available to historians and writers and readers than the earlier years because Tolstoy himself and his wife and his family and ... geez, it seems like every person the man ever spent more than a minute with ... wrote out extensive diary notes, letters, official papers, etc. I feel this was a solid book for what I wanted, but now I'm kind of wanting more, my eyes having been opened to Tolstoy, the world he existed in, and others around him. Notes: Originally published in 1911, this little book includes illustrations to show examples of various forms of defense. If I understand correctly this is sort of a combination late book about about the art of the duel (late because the art of the duel was pretty much dead by 1911) and self defense, which was growing in popularity. Allanson-Winn was a known author of boxing literature, and Phillipps-Wolley was a big game hunter, these two men bringing their practical knowledge to this piece of literature. 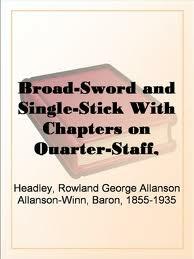 As the rather long title in the Amazon link above shows, this book contains defense information about more weapons than simply the broad sword and single stick. As a fantasy writer, I'm often interested in such literature and how I can make use of it in my own writings, but I'm also interested from a historical vantage point. Mini review: There was actually very little about true self defense, meaning a street fight or the like, though there was quite a bit of basic information about fencing with various weapons, especially the broad sword and single stick. Those experienced in fencing will recognize all these basics. However, I was a bit disappointed that there was not more here about footwork, because footwork is quite important in fencing. I'd like to add, the chapter on using an umbrella for self defense was pretty funny, though also practical. Notes: I've actually read this book twice before, once soon after its initial publishing a dozen or so years ago, and then once more six or seven years ago. I decided to read it again to see if there was something I missed or if I've simply forgotten much. While I recall this book being quite interesting and well written, and offering another insight into King's life, I don't remember it being all that great a book when it come to the craft or business of writing. It seems a lot of people disagree with me, because this book consistently shows up as a favorite among authors as a top book on the craft. Maybe I'm wrong. Which is why I'm reading it again. Mini review: No, I think I'll stick with my opinion of this book. Don't get me wrong. It is well written, and it is entertaining. It also offers some excellent insight into how King works and gives some fairly new (for the publication date) biographical information about the author. But I still don't think there's a lot of depth here pertaining to the actual craft or business of writing. I could sum up most of King's writing advice as: learn the basics, trust your intuition, then cut 10 percent off the first draft of everything. There are a number of excellent, pithy quotes pertaining to writing, but I don't feel they add much. I think this book would best serve those who are beginning writers, but those of us who have penned a million words or more won't find much here challenging (not that I think I'm above it all or anything, because the basics are always worth looking over again from time to time). To any writer who has not read this book, yes, I believe it is worth checking into. The book is a little dated, the technology and publishing industry having changed much in the last decade, but as with most things penned by King, it's an excellent read. 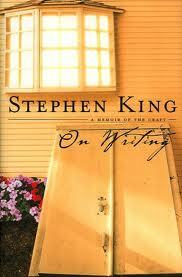 At the very least, one gets to see how King approaches his writing and reading. Notes: I've long been a fan of the HBO series concerning E Company of World War II fame, having watched the series when it originally aired and possibly hundreds of times since. I feel it is honestly one of the best looks at war from a soldier's point of view ever put on the screen, or at the very least one of the best views of those particular soldiers during that particular war. Anyway, I feel I know these stories and these real-life characters, and I always want to know more, having read other books about the events and people. I've had this book for a while, the one which the TV series is based upon, and I've kept putting it off. But no longer. Christmas is nearly here, so I thought I'd treat myself. Mini review: This is a great book, though not quite one of my favorites. Why? Well, truth be known, it's no fault of the book, but my own. I simply knew too much of this material before wading in, so very little was new to me here and actually seemed quite repetitive. Again, that's no fault of the books. 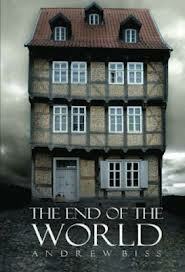 The writing is crisp and the information provided is interesting and to the point without wallowing in minor details. 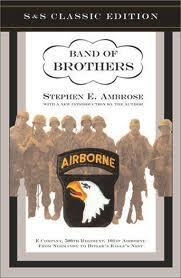 My favorite parts were the personal reflections of the officers and soldiers. Armchair historians and casual readers of war history will love this book. Those who are more military historians seeking in depth details will find this book a good place to start, but will likely want to go elsewhere eventually, and there's nothing wrong with that. Notes: I was drawn to this novel some while back because, like readers do, I found the book description of interest. The tale is about a fellow named Valentine who leaves his parents' home to make his own way in the world, then he's robbed at gunpoint. Valentine ends up in a mysterious tavern or inn, and it seems like he might be dead, my guess being he was killed during the robbery. At this inn, he meets a number of odd characters. I was also drawn to this tale because it sounds somewhat like Neil Gaiman's Worlds' End storyline from The Sandman graphic novels; I have no idea if there is a casual connection, but it seems possible. Guess I'll find out. Mini review: The writing here was crisp and clean, and there were some interesting steps into spiritualism, even Buddhism. 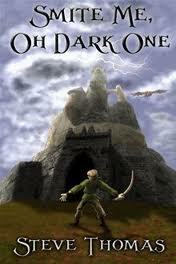 However, I didn't care much for the main character, which especially hurts a tale told in the first person. Why didn't I like him? Well, for one thing, he was so whiny all the time, and while not a total idiot, he seemed constantly outside of the know, to have very little grasp upon reality, which I could stomach in a possibly less intelligent character, but not here where the character seemed to have the possibility of being quite bright though sheltered somewhat by his parents. In the end, I did feel somewhat sorrowful for the main character. Also, I want to point out that I didn't detest this character, I simply didn't find him all that likable. He reminded me a little of a less obnoxious version of the Ignatius Reilly character from A Confederacy Dunces as if written by someone trying to emulate Neil Gaiman. 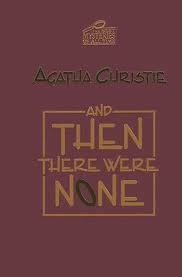 Notes: I'm not exactly the biggest Agatha Christie fan, though I don't disparage her works, but I've not read anything of hers in decades. I was thinking it time I gave her another shot, especially as I've found different writers strike me differently when I am at different ages. Make sense? Mini review: I nice, fun, little read that was fast and enjoyable. Pure bubblegum reading that allows one to enjoy it without thinking too much. Trying to figure out the actual villain is practically impossible. But then, I've read somewhere that Christie used to write her stories and not decide upon the villain until the end, reworking the tale if she had to. This approach makes sense to me, at least for this tale, as it seemed kind of obvious that that was what the writer did. Or, at least it seemed to me that that was how this story was written. Notes: I consider myself fairly well read in non-fiction concerning serial killers, and to my knowledge this author is the only indie writer working almost solely in that field. So, I thought it time I checked out some of his work. I chose this particular e-book because it contains killers with whom I am familiar, and those with whom I am unfamiliar, giving me an opportunity to judge the writer's investigative skills and writing abilities. Mini review: I have to say, the writing here is quite solid, better than many non-fiction books about serial killers, even those often written by professional journalists. That being said, there's not a lot of depth here. Don't get me wrong, because there's still plenty of information and much of interest to be found here. 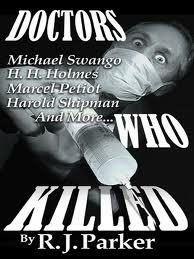 If one is seeking a basic overview of doctors who have been serial killers, this is a good place to start. But if one wants something more in depth with a lot more details, the reader is probably better served by finding individual books about each killer. This e-book reminded me of some of the non-fiction works by Mike Newton and other writers who have penned various encyclopedias about crime and criminals. For the casual crime reader who doesn't want to get bogged down by pedantic material, such an e-book as this one is darn near perfect.